Nioh 2 was revealed during Sony’s E3 2018 press conference with a trailer but not much else. Developer Team Ninja and publisher Tecmo Koei have both been mysteriously silent on the topic of the sequel to 2017’s samurai action-RPG – that is, until the directors at Team Ninja gave an interview on PlayStation’s E3 2018 live stream. In the Nioh 2 announcement trailer, a character is seen being attacked and then possessed by yokai – the Japanese demons you fight in the first game. This is a feature that Team Ninja confirmed will be part of Nioh 2. Specifically, it was said that the protagonist will have the power of the yokai. Nioh features in our list of the best Souls-like games on PC. “You’ll be able to feel some of the yokai skills and moves, which should bring the action system to the next level,” director Fumihiko Yasuda says. That won’t be the only new feature in Nioh 2, of course. Another confirmation was that the sequel will have character customisation. That should mean that we probably won’t be playing as William, the blond-haired samurai from the first game. 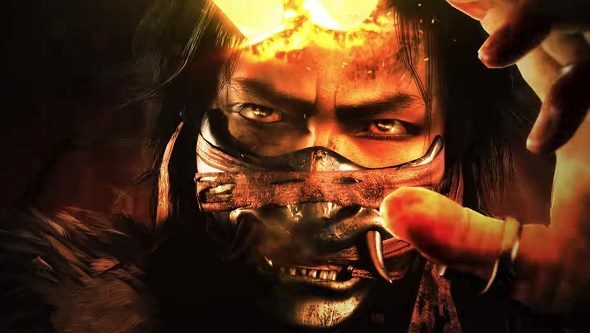 Despite having a new protagonist, Nioh 2 will tie into the story of the first game – the time period and setting will be revealed soon, apparently. Yasuda says you won’t need to be familiar with the story of the first Nioh to enjoy the sequel but those who are might enjoy it more. Yasuda added to this that his goal for Nioh 2 would be to create “a natural evolution, not a dramatic change or deterioration.” Expect more of the same with some refinements to the formula then. Hopefully we’ll have more details on exactly what that means soon. Nioh 2 hasn’t been confirmed for PC yet – only PS4 so far – but the first game was released on PC and was a big success so it seems unlikely that the sequel would skip it.